Steering is a very basic component of a vehicle, but one that is a necessity. So when power steering problems start to arise, it is important that you bring your vehicle to Precision Collision to be inspected and repaired by our skilled specialists. Have you ever been driving along a perfectly flat and straight stretch of road when your steering wheel begins vibrating in your hands? This could be a symptom of several larger problems and should be addressed immediately. Your vehicle’s wheels could be out of balance, brake discs could be damaged, or the tire treading could be worn. Turning the wheel is repeatedly followed by a screeching sound indicates that one of several problems might be plaguing your car. The power steering belt is worn and thus needs to be replaced, or the steering belt could just be loose. The solution to stopping the obnoxious noise could be as simple as filling up the steering fluid. Does your car pull or “drift” to one side when you drive? Odds are that your wheel alignment needs to be fixed. Tires that are worn or inflated unevenly can also cause the vehicle to drift. Damaged suspension can cause a car to emit a clunking noise when driving over a bump in the road. 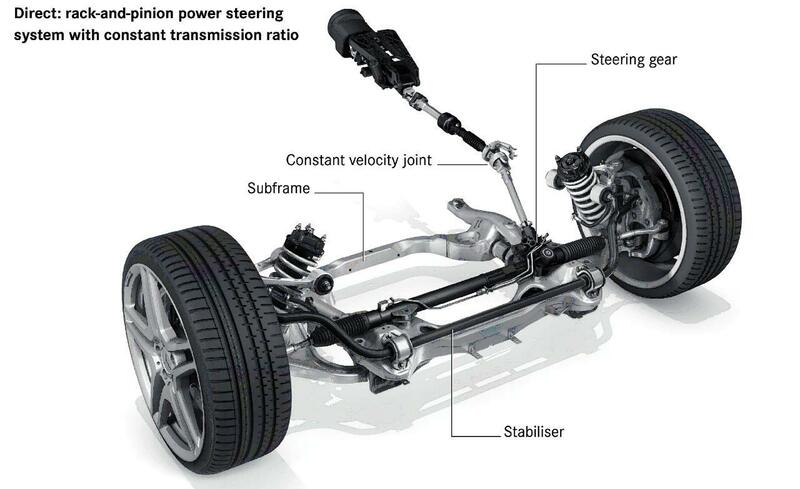 Damaged or broken struts, in addition to worn shock absorbers, can also cause the noise. An unusual amount of bouncing or swaying on uneven roads is also a symptom of this sort of suspension problem. Periodic inspection is the best way to spot cracked or worn hoses before they cause larger problems. The experienced mechanics at Precision Collision provide quick, quality service for all of your vehicle needs. Call us at 714-997-5050 with questions.